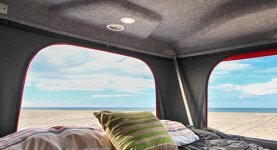 Looking for a good touring tent...? 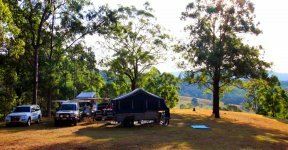 We carry a wide range of tents to suit every need, all manufactured by Oztent. 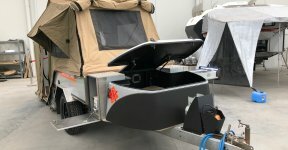 The first Australian designed and manufactured hard shell fibreglass roof tent to hit the market, Backtrax Sport Utility Rooftents feature Australian-designed & Australian-made cutting edge technology and come furnished with ample creature comforts! 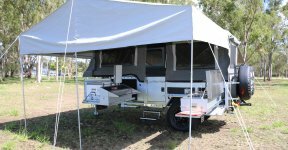 Perfect for family trips or off road touring, the 60L Fridge Freezer features a low profile to suit roller drawer systems, utes, larger 4WDs, boats and camper trailers. The Backtrax Ascent range is manufactured using lightweight, vacuum-infused, gel-coated fiberglass with Speedline 1000D air-textured PU-coated nylon. These innovative materials give the rooftent excellent abrasion resistance, very high tear & tensile strength and are also quick drying and highly water resistant.